Writing about rich white people is no way to make it as a novelist anymore. You're just one Fitzgerald among many. Rich black people, though --now there's a subject you can build a brand on. I found the observation particularly amusing as, just last week, I turned in the copy-edited manuscript of my next Figure Skating Mystery, Skate Crime (available in bookstores everywhere December 2007). 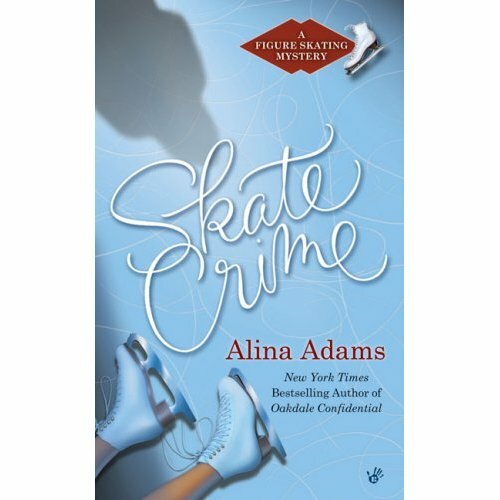 Skate Crime is a little different in format from my previous four skating mysteries in that, in addition to the murder at its center, the book also features in-depth looks, complete with flashbacks, into all of the suspects. One of them is Antonia Wright (first introduced in On Thin Ice), a character loosely based on the legendary Mabel Fairbanks. In Toni's flashback, we learn of the difficulties the African-American (then 'colored') young woman had breaking into the top echelons of United States Figure Skating, despite being a very wealthy Harlem debutante. It's a segment of Black history and society that doesn't get nearly as much play -- in either fiction or non-fiction -- as the less savory aspects. Or so I thought. According to Lev Grossman, though, it's the latest trend! Meanwhile, what do you all think of my latest cover? *tongue in cheek* So I guess you're not evening out the number of women killed vs. number of men. Good to know we're going to find out more about Toni. She sounds fascinating. Will we also see more of the men's singles? I found it funny rereading your last and then rewatching the coverage of dance at Nats this year. Wow, have times changed. Until you mentioned it, I'd never done the math. But you're right -- I must kill more men. Re: TV coverage of dance. That's what happens when the USA's only Olympic medal in figure skating comes in the dance event. The media remembers that it exists!